The Cleveland Indians engage with fans on seven different social media platforms but the team primarily focuses its efforts on Facebook and Twitter. Facebook reaches the most people by far with 540,000 fans following the Indians on that platform. For example, 1,256 people Liked and 59 people commented on a recent Indians’ Facebook post that said, “Lillibridge leads offensive charge in win over Angels.” The post included a photo of player Brent Lillibridge running the bases after his home run hit as well as a link to a longer story about the game. Posts on the Indians’ page include behind-the-scenes photos from inside the ball field; video highlights of the game; pertinent quotes from players and coaches about particular plays along with links to bigger stories; offers for fans to receive free merchandise, such as player bobbleheads for the first 15,000 to arrive to the stands; along with a variety of nuts-and-bolts information, such as when and where to see the games on TV as well as final scores. 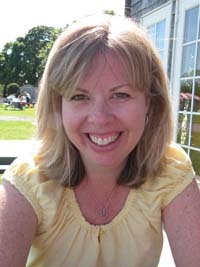 Keeping the sites fresh with new content—as well as answering the multitude of questions and comments that come in from fans—consumes a great deal of time, especially when staff members strive to prevent any question from sliding by unanswered, said Anne Keegan, assistant director of communications for the Indians. 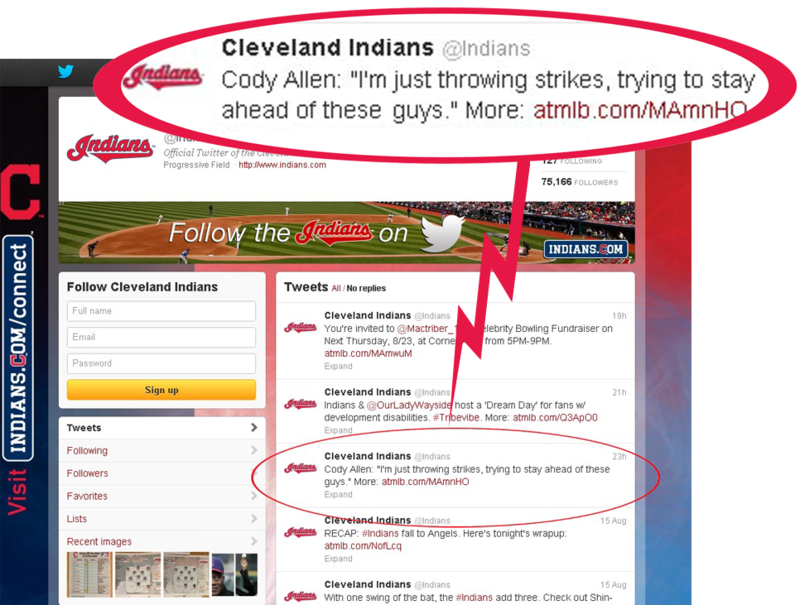 Fans especially get a kick out of the ability to reach out to players or even managers directly, either through the Indians’ social media pages or by contacting players on their individual Facebook or Twitter sites. Some of the content that is shared the most includes photos or videos of the players—pieces that provide some insight into who they are and what they’re up to. In fact, fans love the Indians’ regular feature, posted just about every week, called “Tweet Your Tribe,” in which the staff puts forth one player, manager, or member of the coaching staff to come on Twitter and answer questions from fans on the spot. Fans truly seem to enjoy behind-the-scenes material—anything that reveals a little bit of what they can’t see on the ball field—so last spring the Indians started a WordPress blog called TribeVibe that provides an inside look at the front office and clubhouse. “On TribeVibe, you might see 15 questions and answers with players that don’t really have anything to do with baseball. That’s a lot of fun and we’ve had great success with that,” Keegan said. When it comes to straightforward sales pitches, ticket discounts via social media work well. By clicking on a particular discount link, a fan can get $4 off a ticket, but by sharing the discount with their followers, the buyer can do even better, earning half off that same ticket. “We end up seeing a lot of shares that way,” Keegan said. Keegan said the Indians actively seek feedback from their social fans—and sometimes it helps to bring the online conversation offline every now and then. In June, the Indians asked some of the team’s most engaged social media followers to come down to the ballpark for an in-the-flesh “town hall” meeting with Indians President Mark Shapiro. The Indians got to hear directly from fans about their own ballpark experiences and any concerns they had about any issues, from bathrooms to parking.